The business of hunting and fishing equipment has morphed into a “big box” experience run buy corporations. While 25 years ago, the local sporting goods store or hardware store had a limited supply and selection, most of the stuff on the shelves was reliable. Made in the USA. Today… Not-so-much. The corporate buy-out of outdoor gear manufacturers and retailers has created a homogenized lack of quality. The name of the game is to make more money. Useful, practical, well-constructed, quality outdoor clothing and equipment is tough to find! So much of todays stuff is disposable. If you get three seasons out of a pair of Cabelas insulated hunting bibs before the crotch blows out or the zippers come undone, well, you did not hunt much. Some brands are better than others, and money can buy quality. 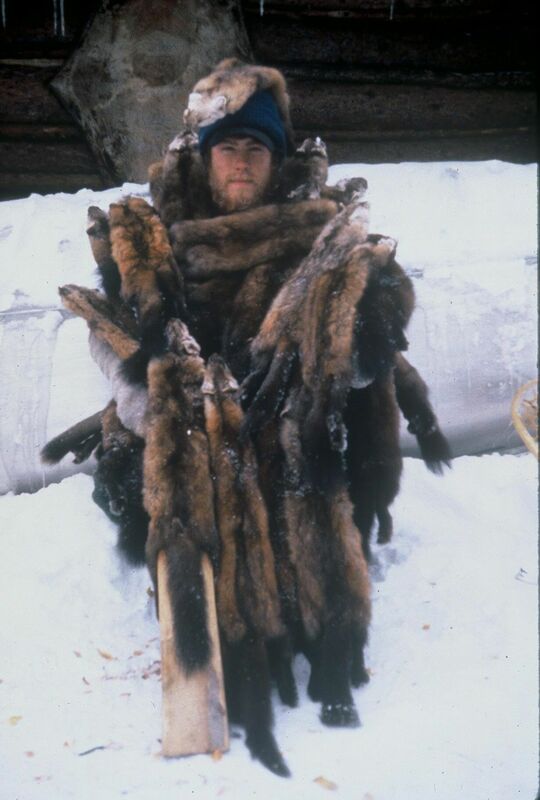 I don’t own expensive outdoor apparel for three reasons; 1) I don’t make much money. 2) I wear things out in less than half-the time most other people do. 3) It is not necessary. Why would I spend $500 dollars on a Gore-Tex parka (often more money than I make in two days) when I can stay dry, safe and comfortable in the worst environments without it? It’s not that I don’t appreciate solid bombproof equipment when I see it… Just can’t afford it. Nor can I afford to wreck expensive clothing on accident by leaning against a propane heater in an ice shanty or ripping a pocket off on a boat cleat while retrieving decoys. The kind of things I do more than I wish to admit. 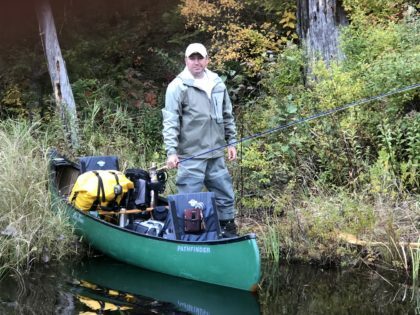 Having been a professional guide for just over 15 years, and a wilderness recreation student and forestry technician for many years, I have formed a few educated OPINIONS about outdoor gear. The following is a few of them. In todays modern world of made in China or Mexico clothing, 85% of the camouflaged stuff found in the “Big Box” outdoor stores is designed to catch the consumer. Only by perception is it designed to help the outdoors person pursue and harvest game. Most of the time it is overpriced, poor in construction garbage better left alone, not worth spending your hard earned money upon. If it has batteries or requires fuel it will break. So besides necessary things like headlamps and gps, before you buy something all your buddies have, ask yourself; Is this a gadget? Do I need it? Is this me being lazy, wanting to own something that might save energy once or twice before it breaks and ruins the day because I relied upon it? Stay away from all cotton clothing for use in hunting or fishing. The only exceptions I have found to that is the Carhart bibs for use in cold, dry weather while ice fishing or working outdoors and the Filson tin cloth for use in dry weather upland environments. Gore-Tex makes the best outer shell when you need your shell to breathe. When engaged in an activity that has you breaking a sweat gore tex is ideal. If you are, however, fishing from a boat, sitting in a chair in an ice shanty, or chilling in a duck blind, gore-tex is not necessary. In fact, In environments like these I stay away from expensive Gore-tex shells as they are more prone to get ripped or ruined. Coated Nylon and PVC coated nylon, or insulated Carhart bibs makes a great outer windproof shell for much, much less. Less is always more. There is a feeling of false confidence felt by the angler with boxes and boxes of tackle and dozens of rods and reels. The same kind of false confidence or invented sense of experience the hunter with a dozen guns and thousands of decoys feels. You cannot buy experience. Moving light and swift and stealth in all instances in the natural world trumps being burdened with stuff you do not need. Footwear is the single most important piece of clothing when hunting or fishing. I would not show up for a September hike in my 1500 gram insulated Lacrosse knee-high Burly boots. So I don’t understand when people show up to go ice fishing with light leather hiking boots on their feet. I don’t care whose name is on it as long as it does what its supposed to do. Again and again and again. And again.